In Celebration of Us is easily the most complex, most layered and most important work to date, no debates in Skyzoo’s distinguished career. His greatest piece thus far. Produced by Illmind, Apollo Brown, Daringer, Marc Nfinit, Cardiak, Tuamie, Ave Prod., Seige Monstracity, and Arte Mitchell. 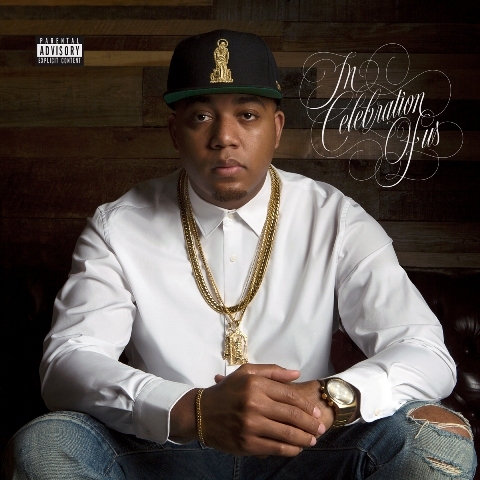 No rap features, Skyzoo got enough raps. These are stories that, like The Salvation, he preferred to tell on his own. Sky has never been this meticulous about an album in his life. Conceptually, this is Ta-nehisi Coates meets Chappelle’s Show meets The Autobiography of Malcolm X meets Blackish meets the case of Sandra Bland meets the birth of Air Jordans. It’s intense. And it’s beautiful!! "On this album, I wanted to tap into the present, more so than any other album of mine as far as full projects. Music of the times is the best way to describe it” Skyzoo stated. “From cultural appropriation and gentrification to police brutality and the irony of motives behind bigger motives, it’s an album that explores who we are and why we are where we are in society, as a people. What’s been done to us and what we’ve done to ourselves, mainly out of confused necessity, all while celebrating us in the process. I’m honored to be able to give my take on our story". After premieres with Complex & Billboard, today Skyzoo chatted with Beats1 & Apple Music’s Ebro, who also premiered a new track, “Crown Holder” (Produced by Grammy Award winning producer !llmind) before In Celebration of Us is available on all streaming platforms at midnight. Skyzoo’s In Celebration of Us will be available on all streaming sites on 2-2-18 via First Generation Rich/EMPIRE.